Welcome to a new school year. I hope everyone is off to a good start. I am enjoying a semester of touring, recording, and research - the manuscript for the Listener’s Companion to Chick Corea is nearly complete. If you have rare recordings, interviews, or stories related to Chick Corea, please share them with me or in the Facebook group. This edition of the newsletter includes various news articles and conference callouts, book reviews, and links to new job listings. The complete schedule for the January 4-7 JEN Conference in New Orleans has just been announced - here is the line-up and take advantage of the Early Registration Discount before September 30. Scholarship applications and the Composer Showcase are open until October 15. Information about the programs is here, please spread the word and encourage students to apply. Please feel free to share this news compilation and invite colleagues to join the mailing list and/or Facebook page. Remember to check the updated job listings here. If you have new books/ articles/ dissertations published, send me the info to be included in the newsletter. Also send over ideas on how JENRing can help you in your jazz research and networking. Items of interest related to jazz research may also be shared on the Facebook page. ON THE CORNER: The Untold Story of the Jazz Loft: The story of jazz enthusiast and Life Magazine photographer W. Eugene Smith is one of the 20th Century’s great tales of creative obsession, transpiring at the nexus of jazz development during one of the music’s most fertile periods, representing the ultimate combination of “right place” and “right time.” Written and directed by WNYC radio’s Sara Fishko and produced by Sam Stephenson, The Jazz Loft According to W. Eugene Smith is the first documentary film to delve into Smith’s vast archive and expose one of the most compelling untold stories in jazz. 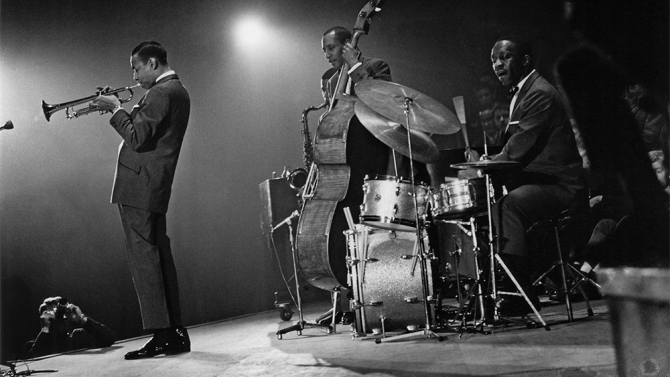 Film Review: "I Called Him Morgan": Few musical genres connote as specifically refined a visual aesthetic as jazz: Alongside those complex, clattering notes, a lot of immaculate lighting, styling and tailoring went into the birth of the cool. So it’s fitting that Kasper Collin’s excellent documentary “I Called Him Morgan,” a sleek, sorrowful elegy for the prodigiously gifted, tragically slain bop trumpeter Lee Morgan, is as much a visual and textural triumph as it is a gripping feat of reportage. Binding its charismatic gallery of talking heads with woozy, moody evocations of Morgan’s New York City — courtesy of ravishing 16mm lensing by the ingenious cinematographer Bradford Young — Collin’s film is most moving when it delves past the expected struggles with fame, creation and addiction to etch the unusual, affectionate and finally fatal relationship between Morgan and his common-law wife Helen. 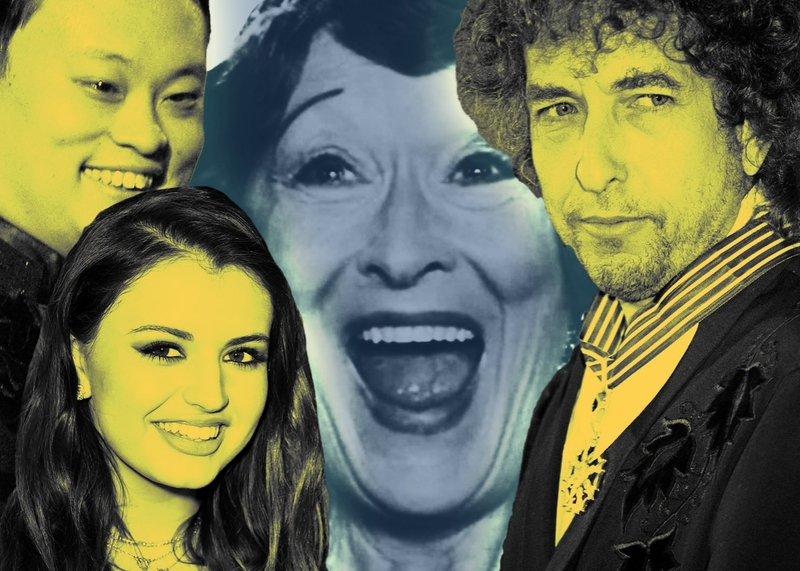 Why Do We Love Bad Singing: From Florence Foster Jenkins to William Hung to Rebecca Black, America has long been fascinated with failed crooners. But who decides what’s good, what’s good-bad, and what’s just bad? Music and the Middlebrow International Conference, 22nd-24th June 2017 Though the invited speakers seem to frame the conference around traditional concert music, the organizers very much want participation from jazz, rock/pop, and film music studies scholars. There are of course a range of topics in jazz related music that could be relevant — areas of concert-style jazz, mood music, lounge jazz, and jazz-related exotica, jazz-with-strings, areas of jazz-pop, etc. The conference has two confirmed keynote speakers, Joan Rubin and Richard Taruskin, and invites proposals for individual 20-minute papers and panel sessions (3 papers) which respond to the project rationale. The deadline for proposals is 1st December 2016. Call for Papers/Abstracts/Posters: The International Kodaly Society Symposium, with the title of “Singing the Circle: Kodaly-Inspired Music Education from Birth to Adult” will be held on Camrose, Alberta CANADA during August 8-13, 2017. 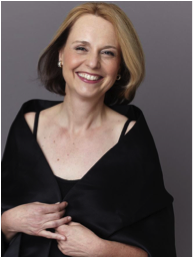 The theme of the 2017 Symposium represents an invitation to explore and respond to Kodály’s call to bring others into the circle of music from birth to adulthood and across multiple perspectives and disciplines. We invite delegates to submit proposals for paper, poster, and workshop presentations within each topic. 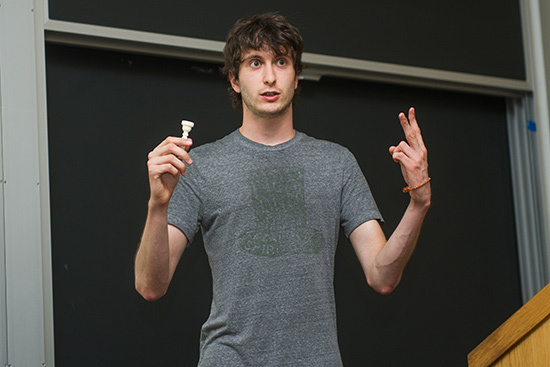 We warmly encourage graduate student contributions for poster and paper presentations. The deadline for submission is October 1, 2016, and notification of status of submission by December 31, 2016. Please email submission to kodaly17@ualberta.ca. The contact information is: Kim Eyre - eyre.kim.1@gmail.com; Jody Stark - jody.stark@umanitoba.ca. Call for Posters: The Virginia Music Educators' Association Research Poster Session will be held on Hot Springs, Virginia during November 17-19, 2016. Faculty and students (undergraduate and graduate) from within and outside the state of Virginia are invited to submit abstracts describing completed or in-progress research pertaining to any aspect of music teaching and learning. Researchers whose work is selected are required to (a) register for and attend the VMEA conference (b) prepare a visual display of their research, and (c) be available during both one-hour sessions to discuss their work with interested persons. All submissions will be blind reviewed by music education researchers. The deadline for submissions is September 1st, 2016, and notification of acceptance will be sent on or before September 16, 2016. Call for Papers & Abstracts: The Desert Skies Symposium on Music Education Research invites submissions for the fifteenth biennial meeting, to be held February 23-25, 2017, on the campus of Arizona State University. Research papers related to music teaching and learning in any context are invited from college and university faculty, graduate and undergraduate students, preK-12 music educators, teaching artists, and community music educators. The Deadline for Submissions: Deadline for submissions is October 30, 2016; Abstracts will be blind reviewed by the symposium advisory board; Authors will be notified of acceptance by November 18th, 2016. Contact information: s.stauffer@asu.edu or desertskies2017@gmail.com. 3RD INTERNATIONAL JAZZ COMPOSERS’ SYMPOSIUM: Call for Scores & Papers:The third International Jazz Composers’ Symposium, will be held in the new School of Music facilities at the University of South Florida in Tampa, FL from May 18-20, 2017. The Symposium is designed as a forum to bring jazz composers of all ages and nationalities together for an informal exchange of ideas, information, and inspiration. As part of the Symposium, composers of all ages and nationalities are invited to submit scores and recordings for inclusion in one of several featured new music / master class sessions. Meanwhile, the Symposium also welcomes proposals from scholars and composers of all ages and nationalities for presentations of their own research related to aspects of jazz composition. Interested researchers should submit:1) an application form (found on the ISJAC website); 2) an abstract of the paper (250 words or less); 3) a bio (no more than 100 words). To assure consideration, submissions must be received by ISJAC on or before Thursday, October 27th, 2016. Notification of acceptance will be made by ISJAC on Thursday, November 17th. Presenters will be notified by email. All participants must register for the Symposium. Expenses for attending the symposium are the sole responsibility of the participant. To register for the symposium click here. The Birmingham Centre for Media and Cultural Research: Call for Contributors: Amateurism raises questions about the nature of creativity in fields such as publishing, fine art, fashion, craftwork, photography and media forms such as journalism, documentary and current affairs. Furthermore, the nature of the amateur challenges us to rethink how we understand the boundaries between cultural institutions and the values we associate with different cultural forms and practices, the definition of professions (such as journalism for example), and the role of technological change. By bringing together scholars across disciplines to explore this theme, we aim to promote new ways of studying contemporary society's most pressing topics. We welcome proposals for conventional academic as well as practice-based presentations from researchers at all career stages, including postgraduate students. If you would like to present a paper to our weekly research seminar on any aspect of amateurism, please send a 200-word proposal to Kirsten Forkert by 31 October 2016 (Kirsten.Forkert@bcu.ac.uk). 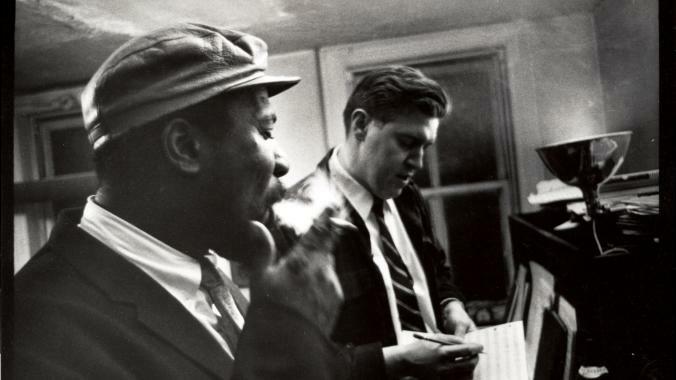 15th Darmstadt Jazzforum: Call for Papers: We do not plan to re-write jazz historiography. However, we hope for a lively discourse about how our understanding of the music, its history and its aesthetic has been shaped, and we hope to learn from scholars who might approach specific subjects from a completely different perspective. Our objective is to unravel some more of this complexity, even though we know that we will only be scratching at the surface.The organizing committee of the 15th Darmstadt Jazzforum – “Jazz @ 100 | An alternative to a story of heroes” – welcomes proposals for presentations which focus specifically on the subject as described above. Please make sure to mention which of the three blocks outlined above your proposed paper might fit into. Please send your proposals by 31 December 2016 (deadline) to Wolfram Knauer (knauer@jazzinstitut.de). Your proposal abstract should be no longer than 300 words. Please add a short CV. Call for Papers & Posters: The Instrumental Music Education: Towards the Future (IMTE) will be held at Mohican Lodge & Conference Center in Perrysville, OH from May 18-20, 2017. We are calling for interactive presentations, PechaKucha talks, posters. To submit a proposal, send an email to Dr. Robert Gardner (rdg13@psu.edu), attaching an abstract of not more than 500 words that describes your proposed session. State in the body of the email whether the submission is to be considered for a poster, a PechaKucha talk, an interactive presentation, or any particular combination of those (e.g., a poster and an interactive presentation). Deadline for submissions is November 18, 2016. The Steering Committee will make notifications regarding accepted proposals by February 1, 2017. Call for Abstract: Please consider submitting a proposal for presentation at one of the three research sessions which will take place during the Colorado Music Educators Association Clinic/Conference, January 25–28, 2017, in Colorado Springs. Sessions will consist of twenty-minute (approx.) "featured" presentations, delivered orally (supplemented with slideshow at the researcher's discretion). Submissions due October 1, 2016, 10:00 p.m. Mountain Time. (Proposals submitted after this time may be considered if openings exist, however, it may not be possible to advertise them in the conference program.) Presenters will be notified of their selection by the week of October 3rd, with reviewers' feedback provided. The New Orleans Jazz Scene Today: “For the past quarter century, Tom Jacobsen has been one of the most astute and dedicated local observers of the New Orleans jazz scene. The New Orleans Jazz Scene Today draws on that expertise, providing the insight needed to fully acquaint intrepid explorers with what New Orleans music has to offer and how it continues to grow." (Bruce Boyd Raeburn, Tulane University). The book is available through both Amazon and local bookstores/record shops in New Orleans and St. Louis. It is also available online here. You could receive a better price than either Amazon or the publisher if you write to the author at: 1800 S. Brentwood Blvd, Apt 1134, St. Louis, MO 63144. Book Review-Freedom of Expression: Interviews With Women in Jazz, by Chris Becker. Composer and writer Chris Becker presents his collection of 37 interviews with leading jazz women in this book with Connie Crothers on the front cover. In addition to the thoughtful interviews each with introductory notes, Becker provides a short historical overview as well as a reflection on putting the book together and the task of selecting a title. The selection of jazz women is tasteful and mostly relevant with a few additions in crossover genres and with low-key careers. Nevertheless, reading the stories of Terri Lynne Carrington, Dee Dee Bridgewater, Jane Ira Bloom, Eliane Elias, Anat Cohen, Mindi Abair, Helen Sung, Sherrie Maricle, Roberta Piket, Connie Crothers, Ellen Seeling and so many more is powerful and clearly exemplifies the independent and entrepreneurial personality necessary to succeed as a female artist in a male-dominated world. Becker does a wonderful job capturing the conversations and asking the right questions about each woman's journey. Each interviewee clearly enjoys the conversation and provides detailed information about their career path. As a female jazz instrumentalist it's fascinating and encouraging to read the stories of powerful role models. Reading the success stories also makes one wonder about the thousands of girls involved in school jazz ensembles who decide against pursuing jazz in college or professionally. A recent article by Biddy Hailey uncovers some of the hidden hurdles and traditional barriers that are still in existence. She suggests some affirmative action towards moving the process of equal involvement forward, and I agree. The success stories provide the needed role models, purposeful outreach and inclusion will create solutions. (Review by Monika Herzig). The book is now available from CreateSpace and Amazon.